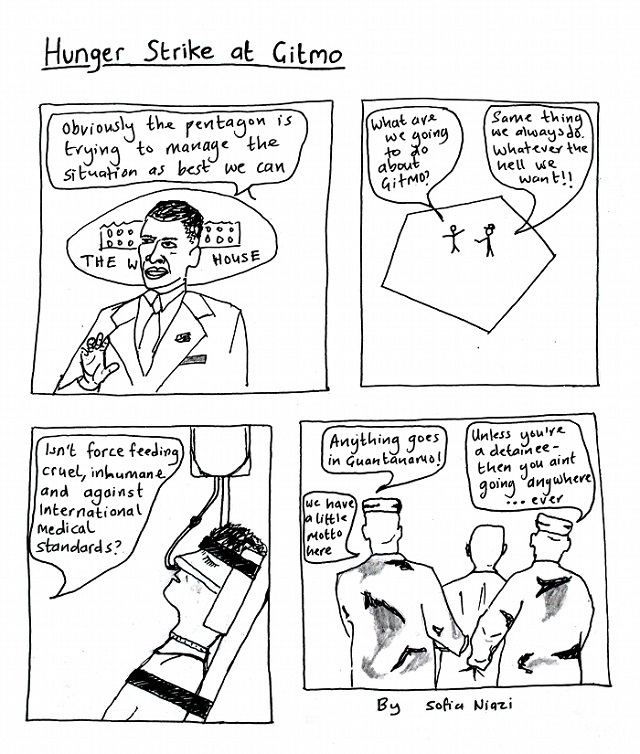 Our weekly political cartoon offering from Sofia Niazi. Bio: Sofia Niazi is MA Design student from Kingston University. Her illustrations appear in various magazines and independent publications. Sofia has a BA in Arabic and Development Studies from SOAS and is interested in political issues and activism. She currently runs OOMK zine, a small press publication about women, art and activism. You can find her website at sofianiazi.co.uk. She tweets at @oomkzine. Sofia Niazi is MA Design student from Kingston University. Her illustrations appear in various magazines and independent publications. Sofia has a BA in Arabic and Development Studies from SOAS and is interested in political issues and activism. She currently runs OOMK zine, a small press publication about women, art and activism. You can find her website at sofianiazi.co.uk. She tweets at @oomkzine.